Having difficulties looking for accumulator safety blocks? We can help you because we have all sizes. Chuan Kok Hardware & Machinery is a stockist of MHA-Zentgraf Products. and equipped with solenoid operated relief valves. 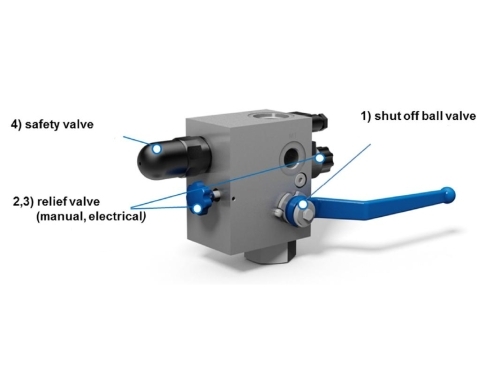 In addition, the operation of the shut off valve (1) separates the accumulator from the hydraulic circuit in case of emergency. Afterwards the accumulator can be drained to the tank by using the manual (or as an optionelectrical) relief valve (2,3). 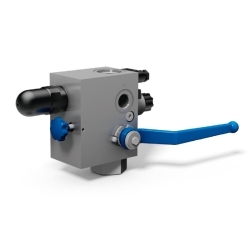 The accumulator is secured by a PED-certified pressure relief valve. (4).